En Primeur. Two words guaranteed to send the eyebrows of any not-particularly-into-wine person leaping northwards. They either don’t know what it is, but know that it’s foreign, and therefore unforgiveably – and this word is going to crop up a few times today, in various forms – poncey, or they kind of know what it is, and believe it’s a ludicrous mechanism for allowing bankers to acquire Chateau Lafite by the pallet, and therefore unforgiveably poncey. There’s probably a decent chunk of actually-quite-into-wine people who think the second definition isn’t far off the mark. But there’s another en primeur market, far removed from that in first-growth claret, which allows price-conscious punters to snaffle great wine at great prices. The wine above is one that worked out for me. It’s a Rasteau, an area in the Southern Rhone producing red wine using lots of grenache and bits and pieces of other grapes, from the 2005 vintage, and cost me £68 for a dozen back in the day. When it arrived in the country I paid a further £30.72 in duty and tax. The mathematicians among you will confirm that it worked out at £98.72 for the case, or a smidgeon under £8.23 a bottle, which included delivery. And it’s now delicious – fruity, herby, deep and, although the alcohol does tip the scales at 15% abv, entirely harmonious. It matched absolutely perfectly with braised beef and a dark, wintry Sunday night spent entirely indoors (I do find that grenache-based wines so often work heroically well on chilly Sunday evenings, all the more so if the wind is assaulting the walls and windows while you sip it). What’s certain is that this is nobody’s eight-quid wine, its value certainly closer to the £16 that recent vintages cost where you can find them (the 2011 will soon be available from Waitrose online and from five actual physical branches (there are 291 branches of Waitrose, so there’s a 1.7% chance of you finding it in your local) at £15.99). If you’d bought that vintage en primeur – and the Wine Society offers it every year – it would have worked out at around £11 a bottle, effectively a 30% discount for advance purchase (though at some point, when Waitrose do their 20% off all wine sale, this will presumably be up for grabs for £12.80, whereupon it would be one of their better deals). Escaravailles – named after the scarab beetle that decorates their labels – are in my experience pretty trustworthy producer, and you sometimes see their top Rasteau, Heritage 1924, the basic Rasteau or the excellent white Côtes du Rhône La Galopine, all of them worth your attention if you come across them. But I should make clear that bargains aren’t guaranteed when you dabble en primeur: you may one day find your wine in someone’s bin-end sale for less than you paid or, worse, you may find that you actually don’t like the wine very much when it comes to drinking it – after all, it’s six years since I bought this wine, and tastes change. The latter problem can also occur if you buy much more expensive wines, compared with which these bottom-end en primeur offerings represent an enjoyable and really pretty low-risk punt, and presents you at the end with a wine that a) didn’t cost very much, and b) you paid for so long ago that it now basically feels free. 1 derogatory, an effeminate man. 2 a man who lives off a prostitute’s earnings. Sadly ponce means something significantly less amusing if you’re French: that humdrum igneous rock, pumice. But while we’re on the subject of pathetic childish wine-comedy, the other day I went to a trade tasting (Waitrose, of which more another time) that featured an Alsatian pinot gris made by someone called Patrick le B’stard, which was enough to get me chuckling (sometimes it doesn’t take much). In case you want to try the B’stard wine, it’s the Cave de Beblenheim Pinot Gris reserve 2012, available from Waitrose for £9.99, and it’s pretty good: round, full and quite savoury given that the equivalent of 8.5 grams, or just over two teaspoons, of sugar lurk in each bottle. It tasted like it would taste significantly better with some food, perhaps something rich and fishy, or something Thai or even Indian, than it did on its own. Meanwhile, many of the 2012 Rhone en primeur offers will go out in the next month or so, while The Wine Society and Berry Bros will follow in the new year. 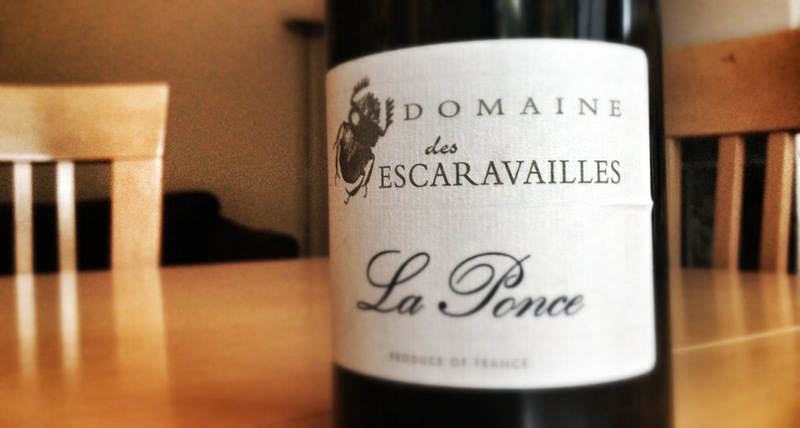 They say it’s a good vintage, particularly in the south … perhaps it’s time for another case of the Ponce? I enjoy The Cellar-Fella’s blog so much. It’s not at all poncey, just very clever. Linda brought me here, and what a great discovery for me. Awesome! Sadly no Rhone en primeur here. But, lots of Rhone nonetheless. I as well lured here by a fellow blogger. Good stuff. Hello everyone, welcome and thanks for your very lovely comments. Do have a good look around, or come back again in the future, or indeed both, and keep commenting if you feel moved to. Cheers! I ordered a case of the 2003 Ponce – for very much the same reasons. It was the first year I had dabbled on en primeur and faced with a long list of wines (albeit most of which I could not afford) I plumped for a bit of ‘random / sounds like a nice guy / and it has a funny name’. Worked out pretty well I’d say. The 2003 was a little ‘hot’ on the finish, but I have certainly very much enjoyed a bottle every year or so and will be sad when they have all gone. The WS (no connection) also do half and mixed cases now, so you can get a smaller allocation of several wines – a bit like spread betting I guess, not that the WS wines ever really disappoint.